This year I have resolved to keep better gardening records of what I planted when, and what works and what doesn’t. I have these in a large terracotta pot, mainly because I wasn’t using it for anything else, and I thought the bright green basil leaves would look “so mediterranean!” in the terracotta. The other thing I have learned is that the BIRDS (the same BIRDS that drove me to install netting over my veggie patch) love pea seeds so much that they will actually dig out my sweet pea seeds from the ground no less than 10 minutes after being sown. 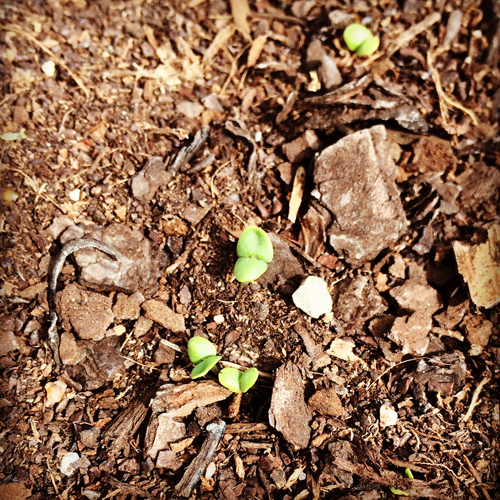 So, I took extreme measures and sowed them in an old 3″ pot and tucked them in my veggie patch for protection. Two weeks later they had sprouted and were ready for transplanting. I wanted to post this photo because when I upended the pot, even though the leaves have barely even started to unfurl, the roots had already reached the bottom of the pot & started circling around looking for some place to go. Seeds will never stop amazing me! And with the (slightly) warmer weather this has brought out my pear & apple blossoms which I can’t stop taking photos of. 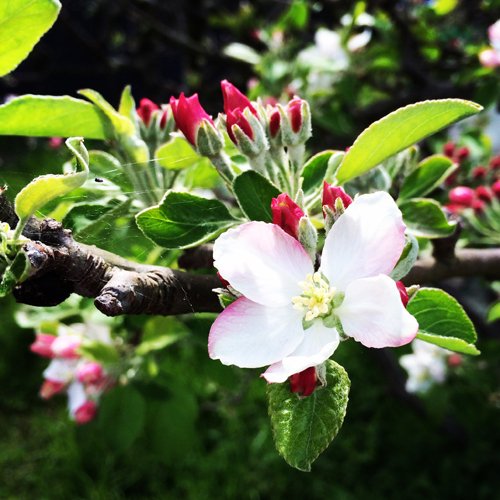 Apple blossoms are just so photogenic! No idea what the apples are going to be like, but I’ll try my best to protect them from the birds and codling moth so I can at least get some apples. 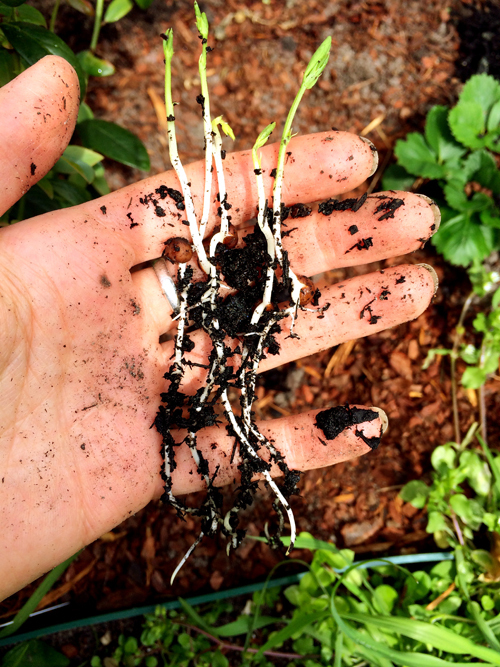 This entry was posted on September 29, 2013 at 5:10 pm and is filed under gardening, herbs, Home. You can follow any responses to this entry through the RSS 2.0 feed. You can leave a response, or trackback from your own site.